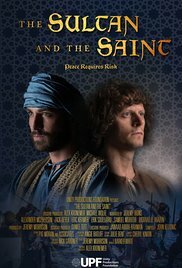 Muslim Association of Puget Sound (MAPS) presents Sultan and the Saint film premiere with opening marks by the executive producer, Alex Kronemer. 6:45 p.m. start time.Tickets are $15. Due to scenes of violence, this film is recommended for ages 12 and up. A story of Muslim-Christian Peace during the Crusades, Saint Francis of Assisi risked his life by walking across enemy lines to meet the Sultan of Egypt, the Muslim ruler Al-Malik al-Kamil. This remarkable encounter, and the commitment to peace of the two men behind it, sucked the venom out of the Crusades and changed the relationship between Muslims and Christians for the better. Featuring dramatic reenactments and renowned scholarship, this amazing story is brought to life. Scholars interviewed include Michael Cusato (St. Bonaventure University), Sr. Kathy Warren (Sisters of St. Francis), Suleiman Mourad (Smith College), Homayra Ziad (Institute for Christian & Jewish Studies), Paul Moses (The Saint and the Sultan), and others.